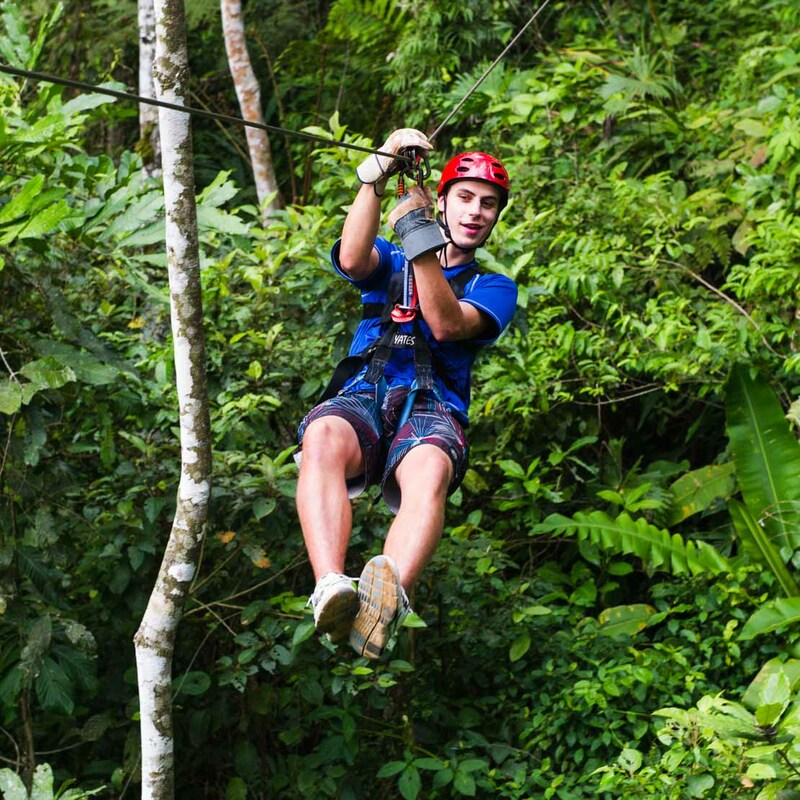 Picture yourself soaring through the lush, green Costa Rican rainforest canopy on a zip line, rafting the Pacuare River, one of the premier whitewater rivers in the world, and watching in awe the annual turtle nesting miracle on the Caribbean coast of Costa Rica. 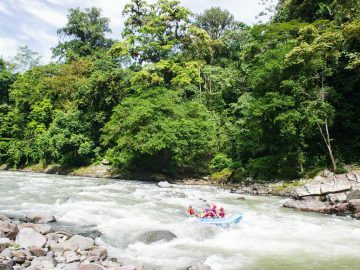 An OARS Costa Rica adventure vacation into the heart of this tropical paradise will show you the best of the country’s many natural treasures. Here cloud forests stream beneath a volcanic skyline, the wildlife of Costa Rican jungle lore peers out from within tropical savanna long-grass and coral reefs fill its warm, clear, nutrient-rich sea with life. Our Costa Rica “Pura Vida” Adventure provides the experience of a lifetime for international river nomads, avid beach goers, wildlife lovers, outdoor enthusiasts and those in search of the quintessential Costa Rica vacation. With over a quarter of Costa Rica’s landmass forever protected as National Parks (Tortuguero, Monte Verde, Arenal to name a few) and reserves for the country’s indigenous peoples, Costa Rica is considered to be one of the 20 richest countries in biodiversity. The more than 500,000 animal and insect species that are found in this small country represent nearly 4% of the world’s total. 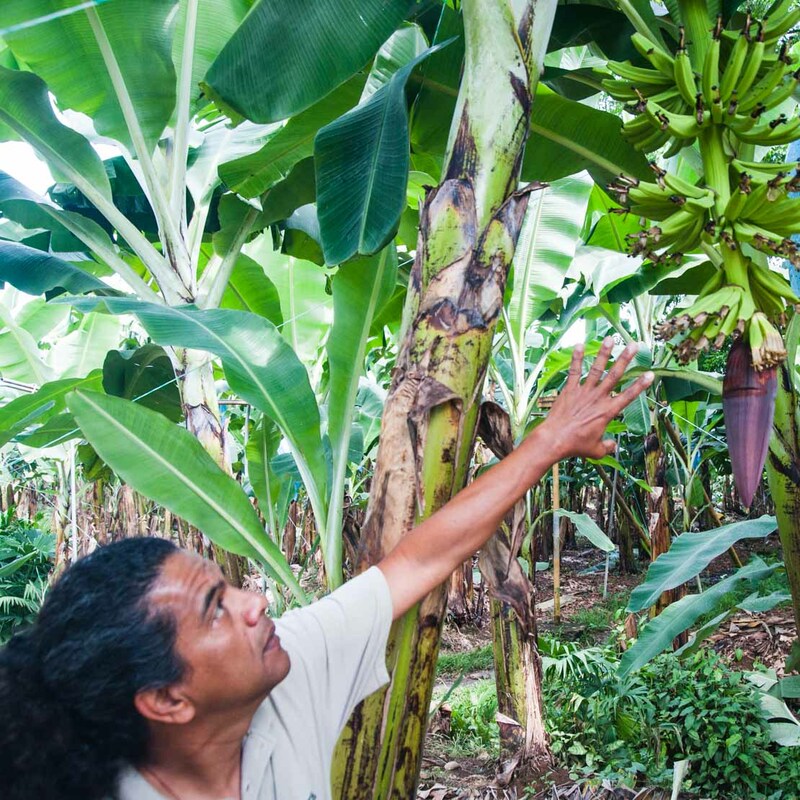 Some 10,000 species of plants and trees are found throughout Costa Rica’s ecosystems. The Costa Rica jungles here are lush and green throughout the year due to an average annual rainfall of nearly 100 inches. Monteverde Cloud Forest is one of the most popular nature reserves in the country and a stunning sight to see. It contains 328-foot San Luis waterfall and thick moisture where mosses and ferns thrive. Comparatively, dry forests along the coast are typically hot and dry with significantly less precipitation than rain or cloud forests. The rainforests of interior Costa Rica are home to exotic wildlife species such as jaguars, monkeys, ocelots and a great number of birds including toucans, kingfishers, blue herons, hawks, osprey, peacocks, egrets, oriels and various parrots. 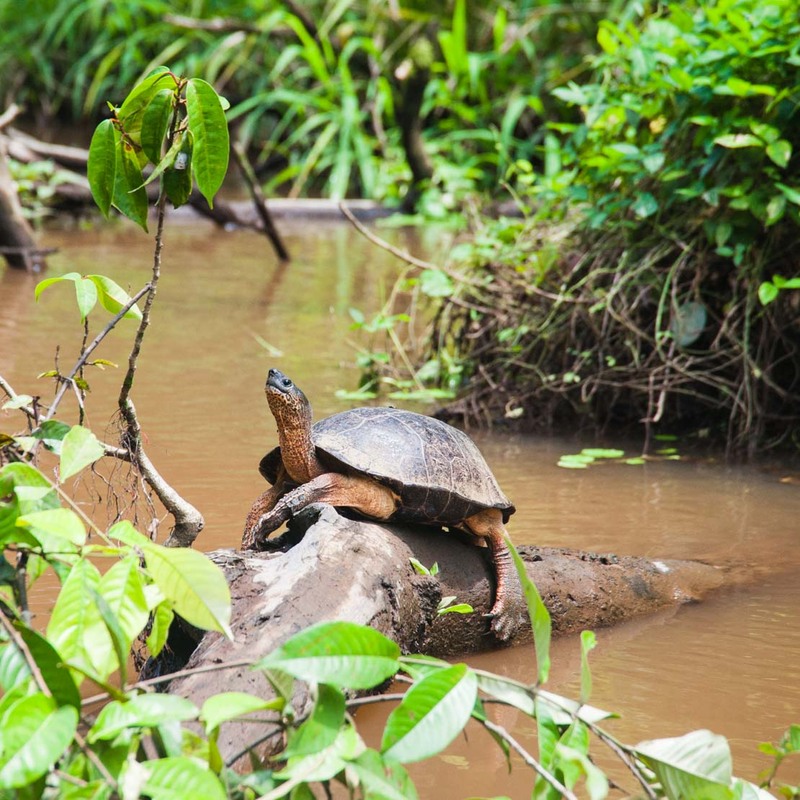 Alternatively, Tortuguero National Park along Costa Rica’s Caribbean Coast is among the most important nesting areas in the Western Hemisphere for the endangered Green Sea Turtle and is a key nesting quarter for Leatherback, Hawksbill and Loggerhead sea turtles as well. (Our Costa Rican adventure vacations are scheduled to coincide with this 11-million year old event—it is not to be missed!) Tortuguero National Park is also home to three-toed sloths, tree frogs and three of Costa Rica’s four species of monkey. Flourishing mangrove habitats in the region house sensitive populations of manatees, caimans and crocodiles. Costa Rica’s coastline stretches over 1,120 miles and contains an infinite number of white, sandy beaches to enjoy. Massive schools of fish, an incredible array of marine life and moderate water temperatures throughout the year offer near perfect snorkeling conditions. While the Caribbean side promises a better chance for good visibility and calmer waters, Isla del Caño off the Osa Peninsula is said to be the best place to scuba dive in the country. Costa Rica is also a world-renowned surfer’s paradise. There are well over 50 famous beach breaks and point breaks to choose from, most of which are located along Costa Rica’s Pacific Coast shoreline. Unlike Hawaii, Sydney or Southern California, you’ll rarely encounter crowded lineups. You may wish to visit Pavones which lies 15 km south of Playa Zancudo and offers one of the longest wave rides in the world, or Playa Naranjo and Witches Rock—filming locations in the acclaimed surf film, Endless Summer II. 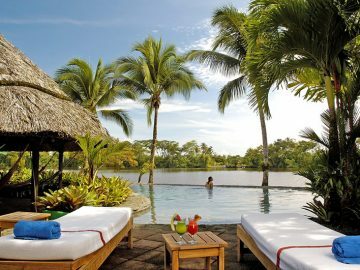 Other outdoor activities in Costa Rica include horseback riding, kite surfing and sport fishing. 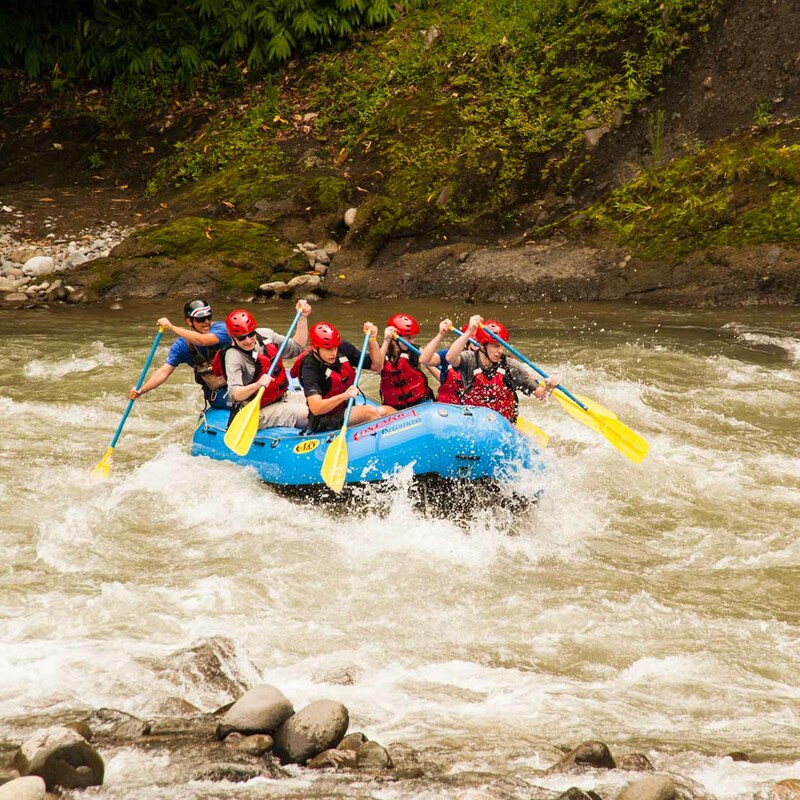 Why choose OARS for a Costa Rica Adventure Vacation? Since 1969, OARS has led active travelers of all ages and abilities to some of the most naturally alluring and vibrant locations on Earth. We thrive on creating adventures that take you off the beaten path and away from the crowds to exotic landscapes. Our safety-conscious guides are multi-lingual and know the ins and outs of traveling in Costa Rica. We provide the best guide-to-guest ratio in the adventure travel business, thus ensuring your questions are answered and your concerns are given the personal attention you deserve. 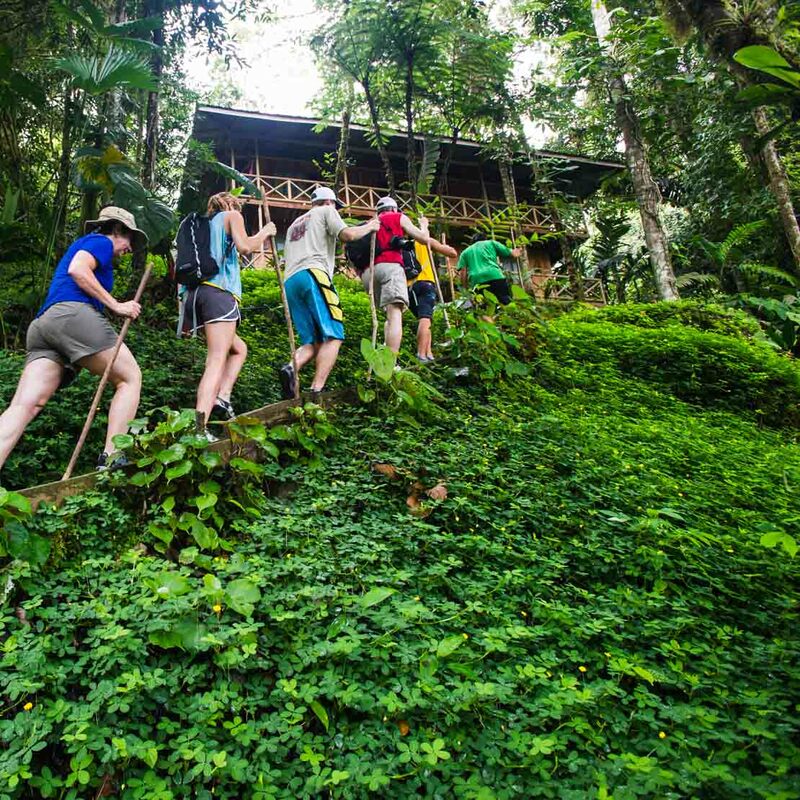 Our local guides will share their knowledge of Costa Rica’s rich history, landscape and wildlife. Traveling to international destinations can be tricky. It’s impossible to know everything about them and often difficult to verify the information—especially when traveling to off-the-beaten path locales. That’s where experience and thoughtful planning comes into play. All of our trips have undergone rigorous exploration, development and review by our knowledgeable operations staff. 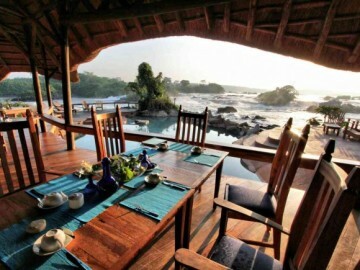 Our selections of Costa Rica eco-lodges are also vital components of our itinerary. Nestled in the jungle on a 2,000-acre private reserve at the mouth of the Pacuare Gorge is the award-winning Rios Tropicales Lodge. The lodge is built as a sustainable eco-lodge—including the building materials, waste management system, recycling practices, and the clean, renewable energy that powers the entire facility. OARS believes it is a fundamental part of eco-tourism to work with local guides, while at the same time bringing our wealth of experience to the table. 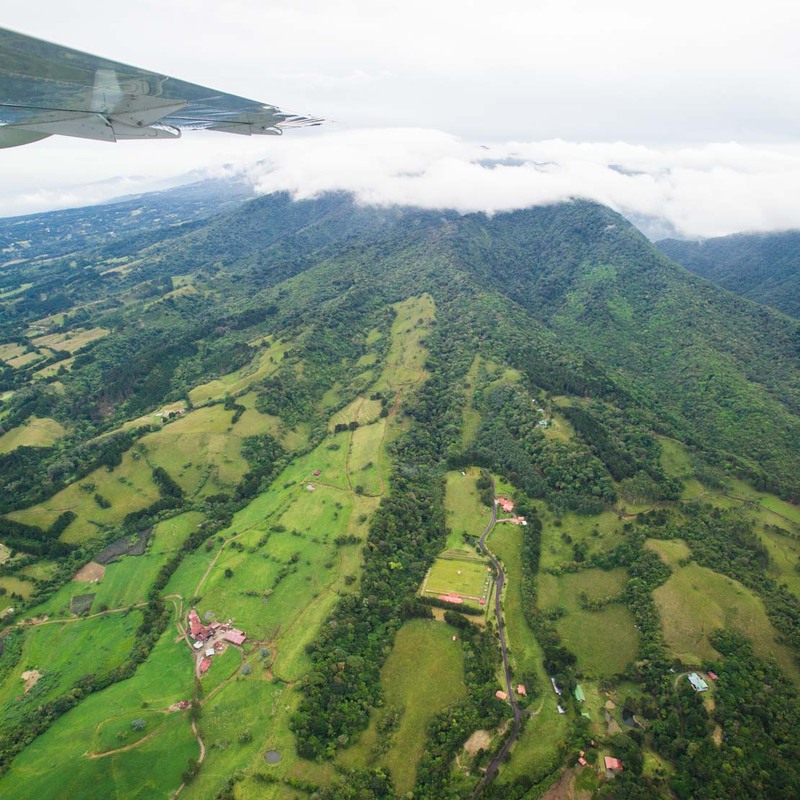 We’ve chosen our Costa Rica connections carefully, so you can rest assured you will be in good hands. 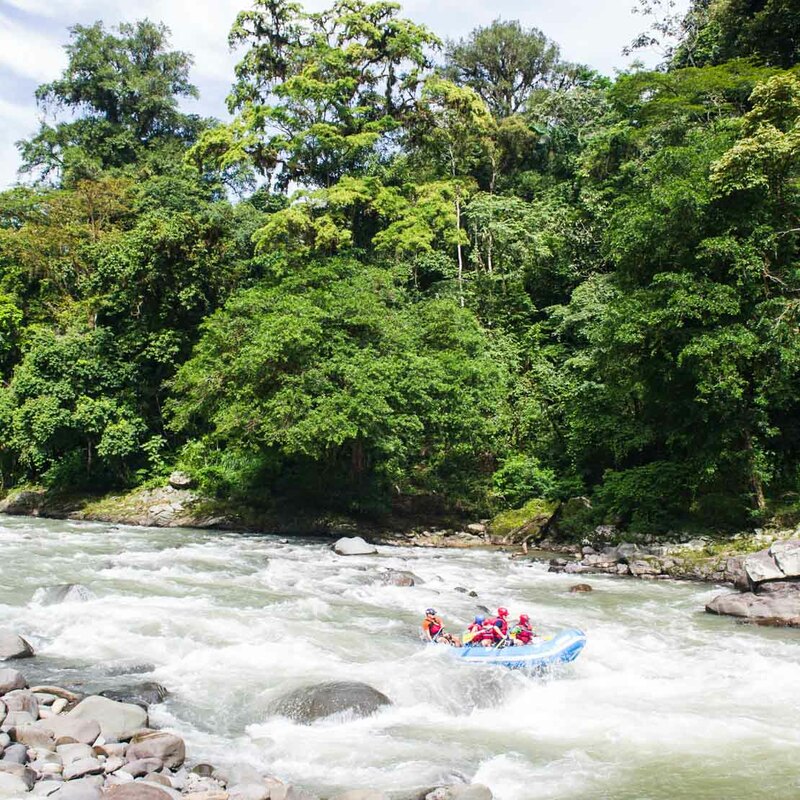 We have created a one of a kind itinerary showcasing only the best areas that Costa Rica has to offer—a unique mix of rafting & adventure combined with spectacular scenery, unparalleled wildlife viewing and exceptionally comfortable lodge accommodations.